All steel parts are manufactured from cold rolled steel. Flammable Safety Cabinets provide protection for your employees and property with the proper storage of flammable liquids. Fully welded construction with 18 ga. double wall construction with 1-1/2" insulating airspace. These cabinets have a flush-mounted paddle handle design which allows easy fingertip operation and features a double key set and can be padlocked (padlock not included). 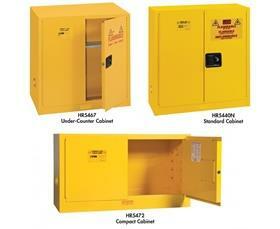 Cabinets are available in standard, compact and under-counter styles and with self closing or manual closing doors. The fail-safe closing mechanism utilizes a three-point stainless steel bullet latching system. 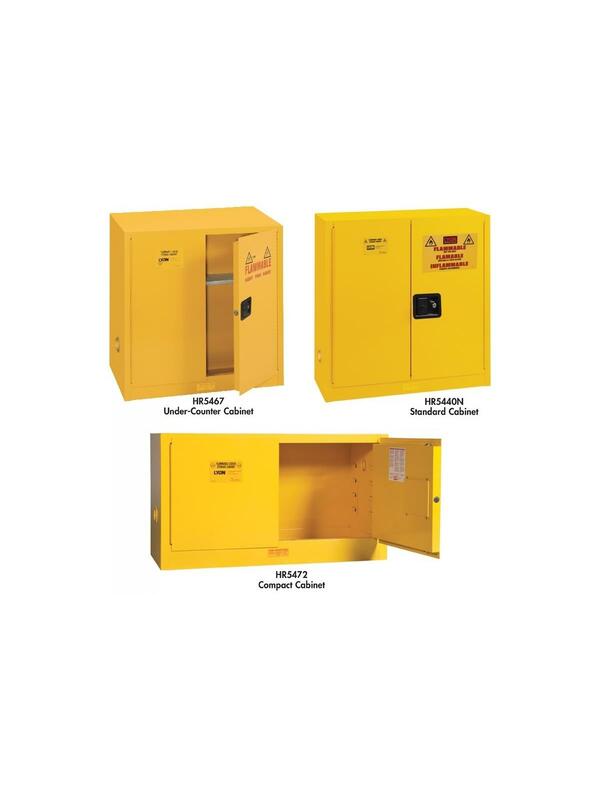 Self-closing door latch holds door open when in use and will release to close door automatically when temperatures reach 165° F. All cabinets meet NFPA Code 30 and OSHA standards. Units safely contain hazardous chemicals, reducing the risk of fire. FOB Shipping Point. See Related Items tab for accessories. 43 x 18 x 65"43 18 65"